NeoEnglish System is the only comprehensive system of language learning which helps you learn English from beginners' to the experts' level. You can either learn English from Neo-Beginners to Neo-Expert or you can take a basic language course and then go for a specialised langauge course such as Neo-Writers or Neo-Speakers according to you needs. You can even go for Neo-Consultants if you want to be an English Language Teacher and also you can take Neo-Professional English if you need English for your job or business. So whatever your purpose maybe, NeoEnglish System always has the right language course for you; Online and Offline. Basic Grammar with Applied Syntax and Morphology. Basic and Advanced Sentence Structure. Social Registers - formal and informal. Applied Composition & Translation Techniques. Advanced vocabulary, idioms, Unfolding Method. Effective Skimming and Scanning Techniques for Academic Reading. Active & Academic Advanced Vocabulary. Effective Presentation and Argumentation skills. Charismatic Speech & hesitation breakers. Applied syntax and Morphology with lexis. Brainstorming and NLP techniques with Mind mapping procedures. Writing from short to Complex compositions. 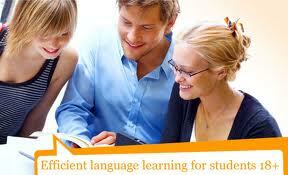 Letter, Essay, thesis, Invitation, Media and report writing. Aspiring to Journalistic writing etc. Applied Composition with Advanced Translation. Business Communication: Writing & Speaking. Conducting Meetings & Telephone calls. Business Functions with syntax and morphology. Dialogues and Discussions on technical English.